According to a new Danish research project, young people who sustain head injuries are much more likely to get dementia when they become older. The new research, from Aarhus University Hospital, is based on statistics gleaned from registered information from nearly 2.8 million Danes over 36 years. “A powerful strike to the head can damage brain cells and that can be the reason why people who have sustained a head injury often get dementia when they become older,” Jakob Christensen, a doctor and PhD at the Department for Neurology at Aarhus University Hospital who is one of the researchers behind the findings, told Videnskab.dk. The researchers have compared the prevalence of dementia among people who have sustained a concussion, cracked their skulls or have suffered a brain injury at some point in their lives, with people who haven’t been treated for head injuries. 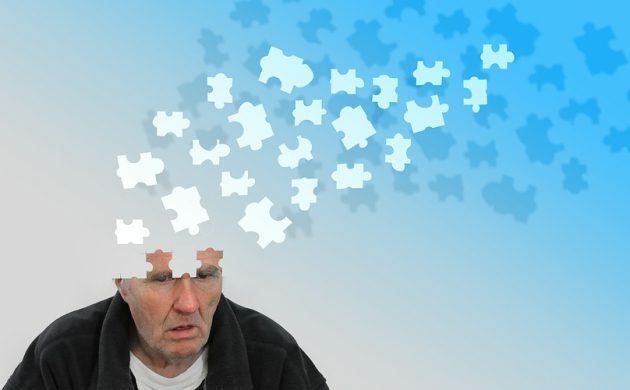 The finding, just published in the scientific journal The Lancet Psychiatry, showed that people who had sustained a head injury had a 24 percent higher chance of getting dementia compared to those who had not. A concussion increased the risk of dementia by 17 percent, while a cracked skull increased the risk by 35 percent. Moreover, those who have injured their heads several times had a 183 percent higher chance of dementia, compared to those who hadn’t suffered a head injury. In related news, the number of Danes being diagnosed with dementia has fallen for the first time ever, according to a new report from the Capital Region. The report showed that instances of dementia among citizens 65 and older dropped from 4.1 percent in 2007 to 3.6 percent in 2016. New cases of dementia were also found to be dwindling, from 1.2 percent in 2013 to 1.0 percent in 2015. “That’s very delightful news. There is now light at the end of the tunnel. Instead of the figures just continuing to grow, we are beginning to see an opportunity to influence the development,” Nis Petter Nissen, the head of the Alzheimer’s association Alzheimerforeningen, told Berlingske newspaper. The trend is linked to efforts to prevent cardiovascular illnesses, which are believed to lead to dementia, as well as increased exercise, health diets, and tackling drinking and smoking habits.